I often scour the local newsagent to see what's new. And this came across my magazine radar… The Australian Women's Weekly: Ultimate Guide To Divorce magazine. Dilvin Yasa, the editor of this new magazine told 'Josie's Juice': "Basically, a couple of years ago it occured to me that there was a magazine for every life stage - getting married, pregnancy, parenting, renovating and nothing for the dissolution of relationships. "Considering our divorce rate is 43%, I made it my mission to create a magazine that would provide support to these women during a very difficult period of their lives. "We cover everything from working to save your marriage and couples counselling to the nitty gritty of applying for a divorce to life post-divorce (dating again, shared parenting, etc) so it's a worthwhile read for those who are considering ending their marriages, as well as those who have begun the process." "No one walks down the aisle expecting their marriage will have an expiry date. For one in three marriages (tipped to soon hit one in two) this is the sad reality. The truth is marriages end for all sorts of reasons , but no matter whether your split is acrimonious or amicable, suddenly finding yourself without the person you thought you were going to spend the rest of your life with can be devastating, bewildering and more than a little lonely. Enter The Australian Women's Weekly: Ultimate Guide To Divorce, the magazine version of a 3am "I'm here for you" phone call from your best friend (but one who just happens to know a hell of a lot of divorce experts)." Continues Dilvin: "A highlight for me was interviewing the four inspiring women for 'We're Better Than Ever' (page 132). When we first had the idea for this magazine, our ethos was based on the idea that while your marriage may be finished, you are not and these women are the embodiment of that sentiment." There are a brilliant range of really helpful articles - but it's not just about the ladies. Such a clever title from The Australian Women's Weekly/Bauer Media stable - so very relevant for our times. Bravo! 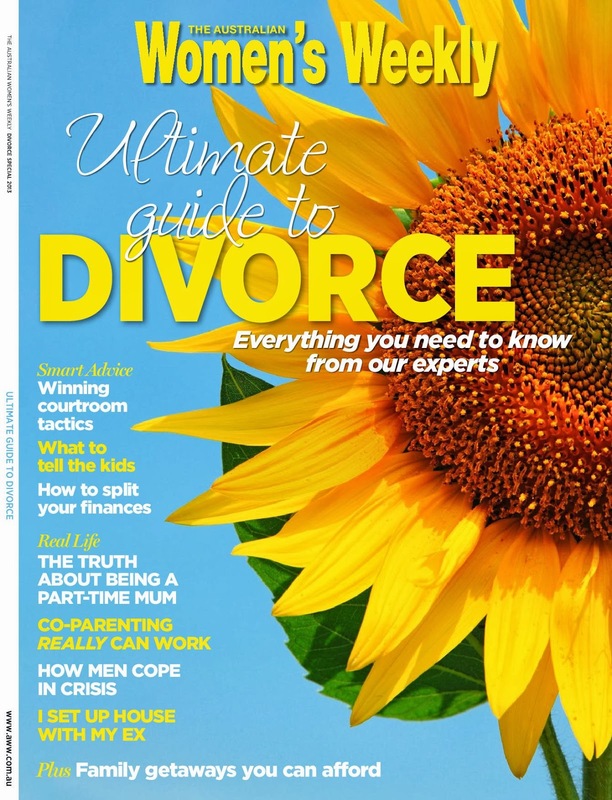 The Australian Women's Weekly: Ultimate Guide To Divorce is on sale at all newsagents now.